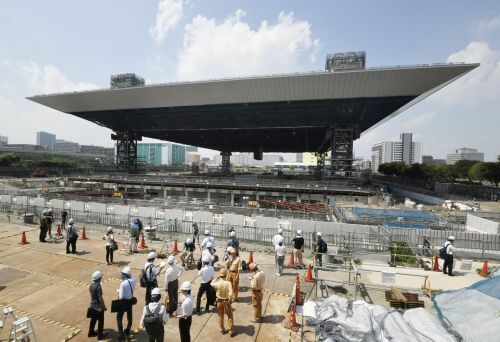 TOKYO (AP) — Organizers of the 2020 Tokyo Olympics insist construction delays at two key venues will have no impact on preparations for the games, including test events. The Tokyo Metropolitan Government announced last month construction of the Olympic Aquatics Center and the Sea Forest Waterway will be delayed by two months. This led to media reports organizers would have to reshuffle test event schedules. "A recent media report is causing confusion about Tokyo 2020's test event schedule," said Tokyo 2020 spokesman Masa Takaya. "Despite the Tokyo Metropolitan Government's announcement last month that construction of the Olympic Aquatics Center and the Sea Forest Waterway will be delayed by two months, both the TMG and Tokyo 2020 can confirm that the construction schedule will have no impact on Games preparations or running test events." Takaya said the Sea Forest Waterway, which will host rowing, will be completed in May 2019, allowing for the test event to be carried out in August as currently scheduled. The Olympic Aquatics Center, which hosts swimming and diving, is due for completion in February 2020. Tokyo 2020, the TMG and the sports federation are working toward organizing the test events for aquatics in April or later, ensuring no impact to the preparations for the Games-time operations. "Overall, Tokyo 2020 is right on track to deliver the Games in two years' time," Takaya said. "Our recent report to the IOC Executive Board was well received, and the IOC recognized that Tokyo's venue preparations are being carried out with an emphasis on project management and quality."